The beam angle is something you need to pay attention to when choosing the right LED lighting for space. This is as important as the Color Temperature. 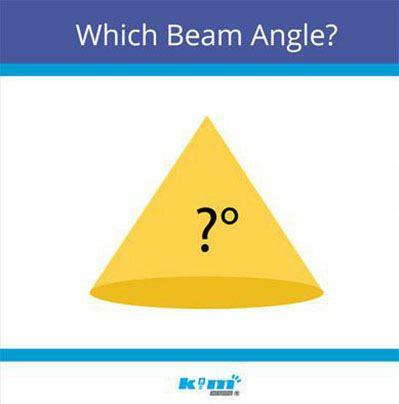 Beam angle indicates the spread of light from the light source. A narrow beam gives a concentrated light which is better for accent lighting. A wide beam gives a more general, softer light. Most LED lights are available in a choice of beam angles. Ranging from a very narrow 15 degrees spot to a wider 60 degrees flood. A narrow beam angle makes the light more focused and intense. A wider beam angle will distribute the light better to more areas of the room. 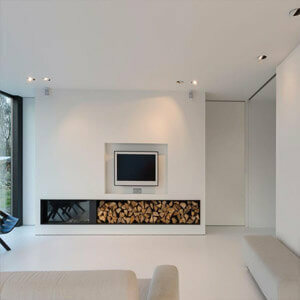 Knowing how to use beam angles correctly can vastly improve the lighting effect in a room. PS: 10 Degree downlight also popular. How to choose the beam angle for led downlight? Like led downlight or spotlights, they are recessed, we recommend selecting downlights with a wider beam (of 60°) if you want soft diffuse lighting e.g. in the living room. If you are looking at downlights for the kitchen, however, a narrower beam (of 25°) angle is preferable because it will give you a concentrated light, perfect for when you need to illuminate surfaces and focus on smaller details within the room. Whatever the room size it always looks better with pools of light instead of glaring light in your eyes, it will create much more ambiance in your space. Generally, if you’re unsure about which beam angle to choose, anything from 60 to 120 degrees works fine in the majority of cases. Where are the best places to use lights with different beam angles? Well, for one, think of a lounging area. Lounging areas are perfect for wider beam angles since the area doesn’t need to be too bright – the usual tasks performed in a lounge area include such tasks as watching television, relaxing, or reading, so you don’t need lighting that is too focused or intense. On the other hand, narrower beams (around 24 degrees) are often better suited to rooms with higher ceilings, such as a library or a study room. 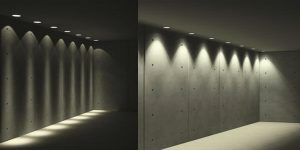 For all the other rooms in your home or office, lights with beam angles between 35 degrees to 45 degrees will usually be suitable, but this would also depend on the light’s spacing and its application. Choosing between small or large beam angles? It is really up to personal preference and how you would like your light to be focused. However, you can use the above recommendations to help. For standard ceiling heights (between 2.4-2.7m), a wider beam spread of 60 degrees or more is recommended. A narrower beam spread of less than 50 degrees is recommended for ceilings higher than 2.7 meters, and more lights will be needed. 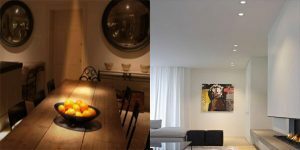 How to buy dimmable LED downlight that won’t flicker ? Why do Dimmable LED Lights Flicker?